Drawing on conservation of resources theory, multiplex social networks research, and the emerging conflict involvement perspective, the purpose of this study is to develop and test a multiplex view of conflict that explicitly accounts for the nature of the social relationships between those involved in intrateam conflict and how these multiplex relationships differentially impact team performance. Data were collected from 120 teams engaged in a 4-month business simulation. Relationship conflicts occurring among team members who are friends have a negative impact on team performance, whereas those occurring between non-friends have a positive impact on team performance. Although we also find non-friend task conflicts to be beneficial for team performance, friend task conflicts have no impact on team performance. 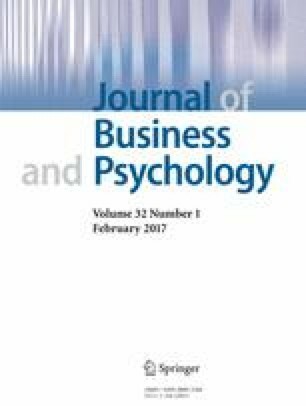 This study highlights the dark side of workplace friendships and admonishes managers to pay close attention not only to conflicts among employees, but also to the relational closeness of those involved in conflict. The current study provides empirical support for the emerging conflict involvement perspective by explicitly assessing the number of individuals involved in conflict as well as the type of relationships between them. We also extend research on multiplex relationships from the individual to the team level of analysis. Finally, we respond to calls for studies of multiplexity that include both positive and negative relationships. The authors would like to thank Steve Borgatti, Lindred Greer and Karen Jehn for their helpful feedback on earlier versions of this manuscript. We also thank associate editor Julie Olson‐Buchanan and three anonymous reviewers for their developmental feedback. Gonzalez-Mulé, E., Courtright, S. H., DeGeest, D., Seong, J.-Y., & Hong, D.-S. (2014). Channeled autonomy: The joint effects of autonomy and feedback on team performance through organizational goal clarity. Journal of Management. doi: 10.1177/0149206314535443.